"Release the Kraken" jokes never get old, they just don't, and now, thanks to Razer's special edition releases of their Kraken headsets, we get a whole new excuse to make with the funny. Release the Neon Kraken. That's right, Neon. They're including a full "colorway" of Kraken's in both the pro and the standard versions of the headset. And they're updating their audio software with a pro version available after June 30th for free for folks who download prior to then. I can almost hear the Kraken now. The neon one, that is. LOS ANGELES (E3 2014) Razer, the world leader in entertainment devices and software, today announced the Razer Kraken Neon Series, a special edition of the brand? 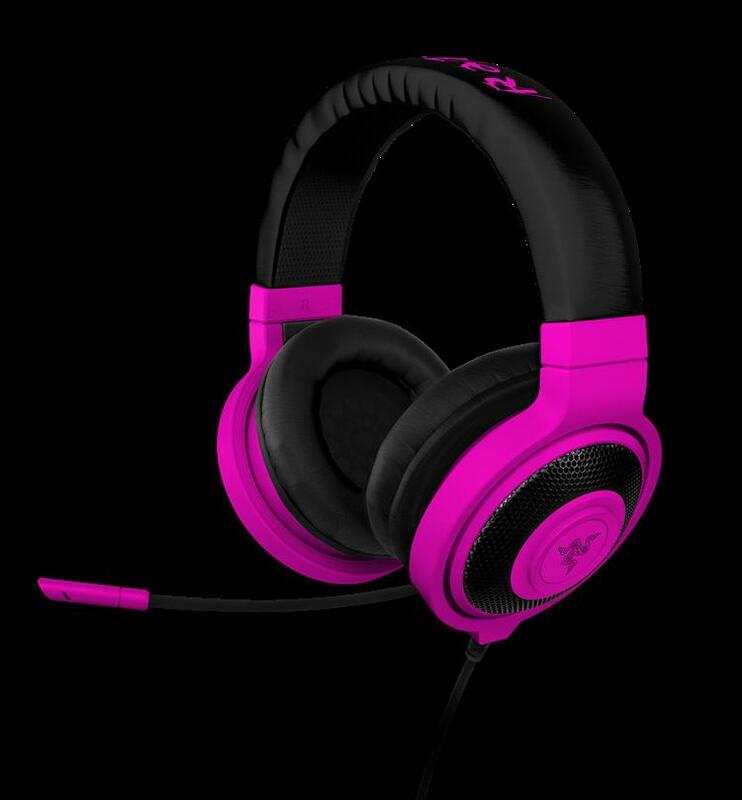 ?s best-selling Kraken gaming headsets and headphones, available in six new fluorescent colors. Like its forerunners, including classic green and black Razer Kraken and Kraken Pros, Razer Kraken E-Panda Hooligan headphones and the Razer Kraken Forged Edition headphones, the Kraken Neon Series is outfitted with powerful drivers that pack deep and heavy bass tones to compliment acutely tuned mids and highs optimized for gaming and music listening. A Pro version of the Razer Kraken Neon Series will feature a fully retractable microphone built into the headset for seamless connectivity to smart phones, tablets and other voice-enabled devices. Additionally, the Razer Kraken Neon Series marks the first time that Razer has released a full colorway for a product. The wide array of color choices can be matched with apparel, footwear and accessories. "Our community has been asking for color options in our product lines and the Razer Kraken Neon Series offers just that," says Min-Liang Tan, Razer co-founder, CEO and creative director. "We chose our most popular family of headsets and headphones for special stylization and are releasing them just in time for the summer months. The six colors give way to a multitude of options. I can't wait to see the photos our fans send us." Gamers can further personalize their listening experience with Razer's industry-leading gaming software, including Razer Surround Pro. The audio engine upgrades any stereo headphones to personalized virtual 7.1 surround sound and all downloads before June 30 will be automatically upgraded to Razer Surround Pro for free. For more information on Razer Surround, go to http://www.razerzone.com/surround.